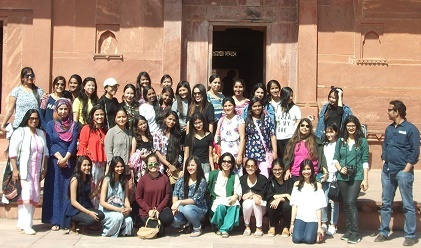 A study of history at the undergraduate level familiarizes students with the contours of Indian and WorldHistory and gives them an understanding of the nature of history as a discipline The course enablesstudents to pursue a career in education, civil services, research, journalism, law, media, travel andtourism. It also provides an opportunity to pursue specific courses in archaeology, numismatics,epigraphy, museology, heritage management and archival studies. It will acquaint you with the History ofIndia (Ancient, Medieval and Modern) and also of Europe, the East Asia, the USSR and the United States ofAmerica. The Department has an extremely specialized faculty. Our faculty members have developed expertise in particular areas of Indian and World History. Papers are distributed keeping in mind the period of specialization and area knowledge of the teachers concerned. History of East Asia, History of Modern Europe (circa 1780-1939), Gender in Indian History,Environmental Issues in India. Under the CBCS skill enhancement courses like Understanding Heritageand Indian Art and Architecture are offered. from other cities/states/countries who happen to be visiting Delhi. In addition, an annual festival, Antaraal, not only combines academic and extra-curricular activities, it also offers students a chance to participate in a number of events like paper-presentations, debates and quizzes besides helping them to develop organisational skills. • Annual History Festival called "Antaraal"